Tarek Mehanna’s conviction was affirmed earlier this month. On Nov. 13 the US Court of Appeals in Boston affirmed the criminal conviction of Sudbury pharmacology student Tarek Mehanna for behavior that many observers thought was constitutionally protected. The US District Court that tried Mehanna, and the appellate court that affirmed his 17 ½-year sentence to a Supermax prison, were able to squelch Mehanna’s First Amendment rights. The courts did so by broadly interpreting a recent Supreme Court decision that allows federal prosecutors to bring charges for a wide range of expressive activities that supposedly constitute “material support” to terrorists. None of what Mehanna engaged in came close to posing danger or helping terrorists. But the Supreme Court earlier had made the Mehanna verdict possible with its 2010 opinion in Humanitarian Law Project v. Holder. The Humanitarian Law Project (HLP), a human rights and peace group, wanted to teach techniques of peaceful dispute resolution to the Kurdistan Workers Party in Turkey and northern Iraq, and the Liberation Tigers of Tamil Eelam, a guerrilla group in Sri Lanka. The State Department has identified both as terrorist organizations. The high court ruled that it would constitute criminal material support for any person to use any skill in coordination with any group designated “terrorist” by the government. Thus, a lawyer could be criminally prosecuted for filing a friend-of-the-court brief supporting such a group. With the Humanitarian Law Project decision, the civic life of our free nation took a radical, though under-appreciated, turn for the worse. “Material support” is now a top contender for the American equivalent of the Soviet (now Russian) “hooliganism” statute, a notoriously vague criminal law that enabled the imprisonment of any opponent of dictator Josef Stalin’s regime. “Show me the man and I’ll find you the crime” was secret police chief Lavrenti Beria’s mantra to his boss. A “material support” charge is a product not of our nation’s legitimate anti-terror concern, but of its overreaction and paranoia. 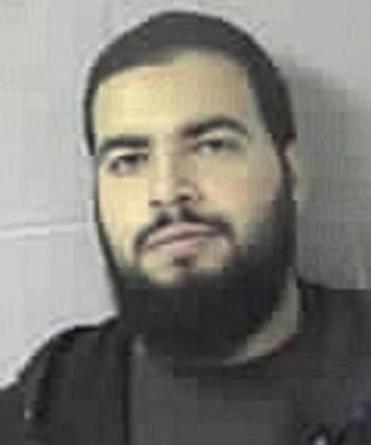 In 2009, at age 27, Mehanna was charged with providing material support to a designated foreign terrorist organization. Here is essentially what he did: He translated publicly available Arabic texts, including some Al Qaeda materials, into English. He e-mailed friends, downloaded videos, and posted documents online, at times indicating his support for the organization. He bought a round trip ticket to Yemen and traveled there in 2004 on what he characterized as a scholar’s journey. Prosecutors argued Mehanna flew to Yemen to find and join a terrorist training camp in order to fight against the United States on behalf of the Iraqis. Mehanna’s attorneys argued that the government targeted him as retaliation for his refusal to become an FBI informant (an offer Mehanna’s former friends and cohorts, turned into prosecution witnesses, found too enticing to decline and who indulged prosecutors with stories of Mehanna’s harsh rhetoric, although no terrorist actions). Regardless of whether Mehanna intended to enroll in a terrorist camp, he failed to find any such facility and returned home to Massachusetts. Prosecutors presented at trial what the Court of Appeals in Boston described as “an avalanche of emotionally charged evidence” to support “a barrage of terrorism-related charges” that buried Mehanna. To the judges on the Court of Appeals, Mehanna’s individual statements and translations were protected First Amendment activities. But taken together the court ruled that they indicated a conspiracy to lend material assistance to terrorists, despite Mehanna’s having no direct link to Al Qaeda. If a group of lawyers such as the Humanitarian Law Project breaks the law when it engages in an effort to show designated terrorists how to use diplomatic channels, it is not a huge leap for someone like Mehanna to be rendered a felon for exploring his Jihadist fantasies. When Mehanna returned to Massachusetts from Yemen, it became clear to any reasonable observer that he was going to spend his life as a pharmacist. But the law, as interpreted by the Department of Justice and abetted by the federal courts, had other plans. Harvey Silverglate is a writer and lawyer in Boston. His latest book is “Three Felonies a Day: How the Feds Target the Innocent.” Juliana DeVries is Silverglate’s paralegal and will be heading to law school in the fall.